A pair of meddling teenagers in the Monterey area are threatening to ruin a really great multi million dollar golf ball diving business in the ocean running alongside Pebble Beach. 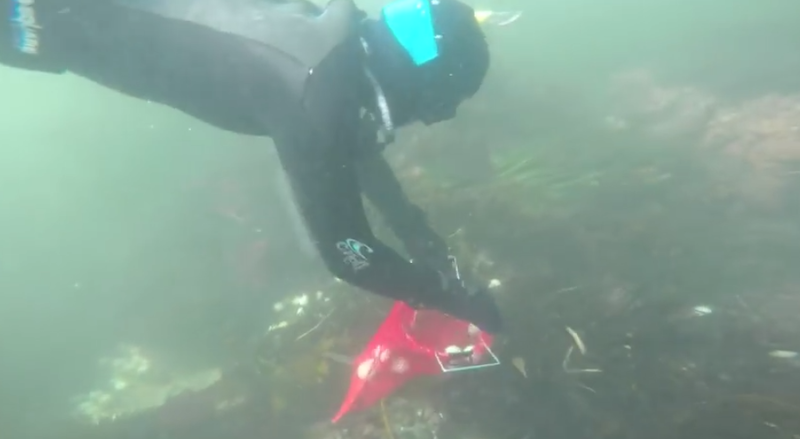 Diver collecting Pro V1's and leaving all the Top Flites and Pinnacles At Pebble Beach. Every year millions of golf balls are hit into Carmel Bay by shite golfers playing the iconic course. The no-good teenagers, who should be off doing something worthwhile like studying for exams or tidying their rooms or something made a film showing loads of Pinnacles on Top Flites on the ocean floor. The company that owns the contract to collect and resell the balls, Ball Bag Diving Ltd., has said it does everything it can to keep the ocean clean and can't see the problem. "Most fish don't have mouths big enough to eat golf balls so there's no issue whatsoever," said Ball Bag Diving owner Todd Cadd. "And as for these teenagers. We would have gotten away with this if it wasn't for those meddling kids." Here's the film those pesky no good meddling kids made. They've cleverly put nice music to it too to make you cry.